The C4i Systems Sensor Processing Unit (C-SPU) is a versatile and robust processing unit providing the user with Dual BioDigitalPC® Credit card sized PC modules, 4 port serial to IP interface and 4 port Gigabit Ethernet switch in an extremely small form factor. 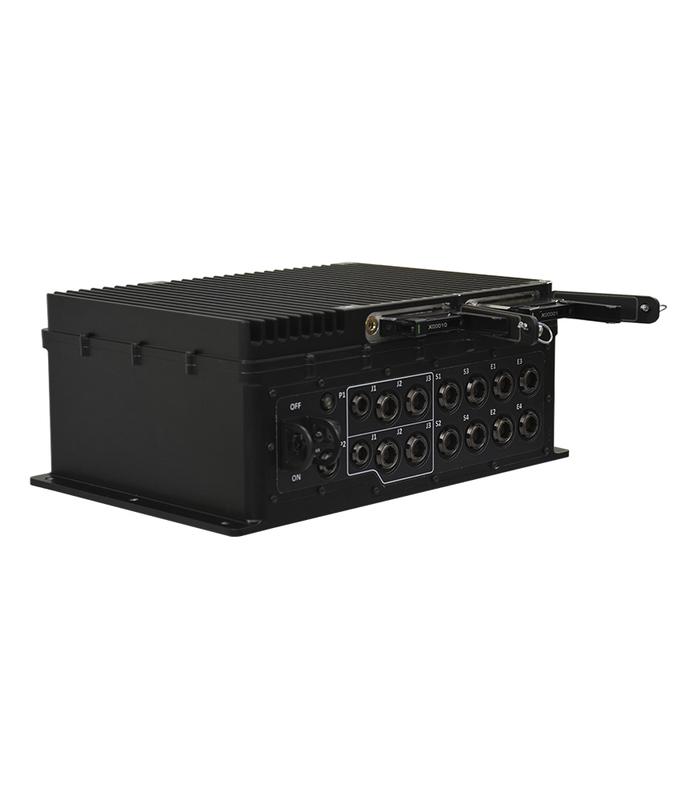 Optimized for harsh Military/Industrial environments, the C-SPU has the ability to consolidate multiple serial and IP sensor feeds into a single IP stream and provide this data either to the twin on-board processing module or transmission over backhaul networks. 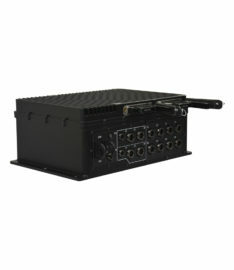 The C-SPU allows any attached serial or IP devices to be supplied with filtered 12/24vDC outputs directly from C-SPU device ports, reducing cabling and system complexity. The FIPS140-2 Lvl 3 compliant processing modules are easy to install and upgrade providing piece of mind for security and a robust through life upgrade path, reducing overall cost during its service life. The C-SPU is robust and durable chassis and can be supplied with varying mounting, colour and power supply options to meet any customer requirements. Dimensions mm: 131 x 325 x 240 (H x W x D). 2 x BioDigitalPC® slots capable of utilising the latest removable BioDigtalPC processors. 2 x Gigabit Ethernet ports without DC output support.